I do not need 'MariaDB Datebase' I only need 'MySQL Database'. myriaDb is a same as mysql. U can use mariadb as mysql. Thanks for your answer but I have to tell you it does not work. It means after converting 'MariaDB' to 'MySQL' these two errors are made and it is not possible to log in on Kloxo-MR panel. It does not work, this has nothing to do with caching. Now I know where is the problem. 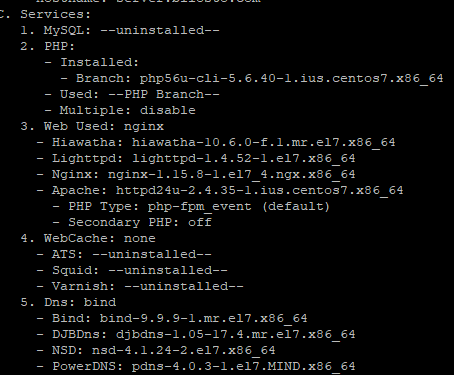 When I type 'sh /script/mariadb-to-mysql' then the next happens, is uninstalled 'MariaDB' and it does not installed 'MySQL'. In the end I do not have a base. Don't worry it doesn't demage your setting.